United States market is one of the most demanding in the Information Technologies worlds. Companies that want to export their Software Development services must face a whole set of challenges that test their operations and processes to not fail in the attempt. These are challenges that require a professional accompaniment and with experience to open a door in this market. 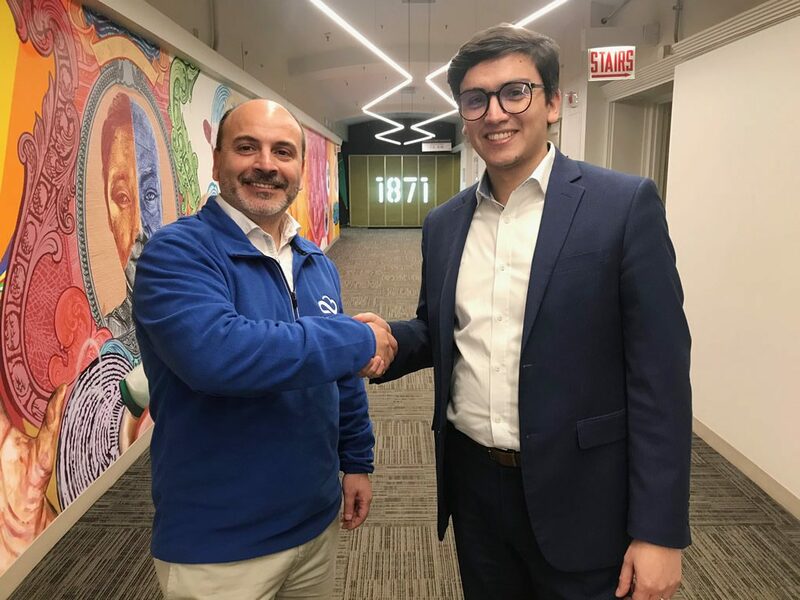 And this is exactly what happened on last November 6th in Chicago when Morris&Opazo, with the excellent advisory and accompaniment of ProChile, signed an agreement to work along with Terra Bridge to export Professional Chilean Services in Software Development to United States. Terra Bridge is an information technologies leader provider of buildings automation services. With un-matched expertise in hospitality, multi-family, and office, Terra Bridge is a turn-key source for all technology design, installation, project management, and maintenance. Under the “Joint Venture” modality, TechBridge will provide all the aspects of business development efforts to enter the market and will act as an agent and partner of Morris & Opazo in Chicago. TerraBridge and Morris & Opazo will work together in the commercial development strategy with all relevant partners and organizations of the international commercial investment community in that city. Among these organizations is the Digital Incubator 1871. 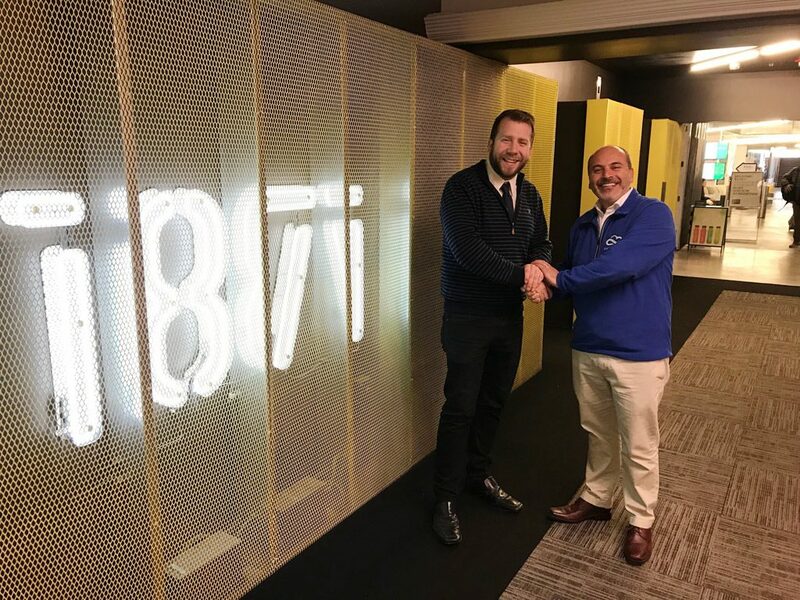 Founded in 2012, 1871 (https://1871.com/) was created to support the digital community in Chicago. From that moment it has become in the activities center for the prosperous technological and entrepreneur ecosystem of Chicago. Now it is considered the ‘home’ for more than 500 digital startups of high world level growth. Morris & Opazo, through Terra Bridge, will also get to the Illinois Hispanic Chamber of Commerce (https://www.ihccbusiness.net/). As the largest community of Hispanic business owners across Illinois and the Midwest, the Illinois Hispanic Chamber of Commerce represent more than 70,000 businesses that contribute more than $15 billion to the states economy and provide more than 100,000 jobs in Illinois. Thanks to ProChile, Morris & Opazo has been able to concrete this important alliance. This has allowed, among other achievements, to increase our Engineers Staff and thus generate a positive social impact in the Region of Araucanía in Chile. The continuous formation and training activities of our Engineers helped us to get the “Advanced Consulting Partner” level in AWS, which set us as International Cloud Experts in Latin America. Right now Morris & Opazo has a Work Plan with the Commercial Office of ProChile in Chicago to continue with the dynamic achieved so far. Consequences of this dynamism has been to participate in events in Chile where we have learned from their respective assistants, and at the same time to show the experience accumulated with the projects carried out in the past and with the ones currently in execution. “Currently I see Chile is becoming a Digital Economy in South America and at World level, receiving huge important investments. And aligned to this our strategy is to support companies like Morris & Opazo in their internationalization strategy and in United States. 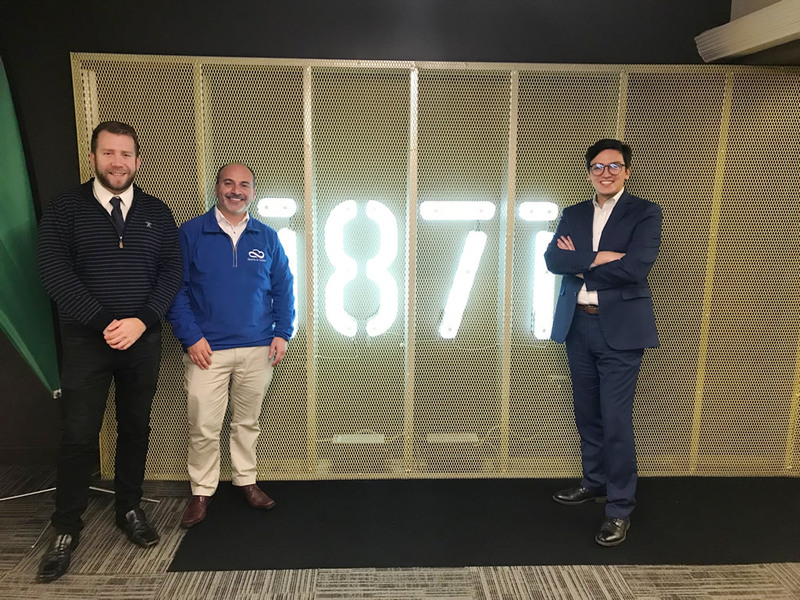 We are very happy to have made this connection with TerraBridge and Morris & Opazo here in Chicago”, stated Rodrigo Cid, Commercial Representative of ProChile in Chicago. When a Government Institution trust in a company to represent a country, high expectations are generated regarding the results that company may offer. There is a trusting bond that involves and compromises even more the company to keep on doing its best, in each one of their activities, projects, trainings and services offered. That is exactly how we feel in Morris & Opazo with this ‘trusting bond’ that ProChile and TerraBridge have offered us = An endorsement to more than 10 years of work and commitment to our clients and their satisfactions.